You don't have to be a police detective to see there's an epidemic of game-fixing going on in college and professional sports. All you have to do is remove the blinders and open your eyes. I first started to realize it was true when I read an article by Brian Tuohy a few years ago about how the NFL fixed the playoffs in 2001-02. The idea was to let the Patriots win it all as a "patriotic" gesture in the wake of 9-11. Stuff like that happens all the time these days. For example, Boston won the World Series because of the Boston Marathon bombing in 2013, and Houston won the World Series in 2017 to give that city something to cheer about in the wake of the epic flooding that ruined so many people's lives. It makes for a better human-interest story that way! For those of you who are on Facebook, also see The Fix Is In Facebook page at https://www.facebook.com/TheFixIsInTuohy. Sports fans from all over the country who have realized games are being fixed on a regular basis post their observations there. They've discovered that college and professional sports have little more integrity than professional wrestling. That includes every Division I college team in the country, as well as Major League Baseball, the NFL, the NHL, the NBA, the PGA Tour and the LPGA Tour. Even high school games are fixed sometimes. And judging from the reaction I've gotten to this blog, there are lots of sports fans out there who know something's wrong. Sports Fraud now has more than 100,000 page views. Readers find this blog by searching the Internet for phrases such as "Freemasons control the NFL" and "college basketball games are rigged." That's because fans all over the country are getting fed up with seeing their favorite teams take a dive. Everybody has to throw a game once in a while. The Chicago Bears' 16-15 "loss" to Philadelphia in the playoff game was one of the most obvious fixes of the 2018-19 NFL season. And to cite just a few obvious examples from the 2018 college football season, Ohio State threw the Purdue game, and Michigan threw the Notre Dame game and the Ohio State game. That doesn't include all the games when the favorite still won but deliberately shaved points, such as Ohio State's ridiculous 52-51 victory over Maryland and Michigan's hard-fought 31-20 win over Indiana and their 20-17 squeaker against Northwestern. Michigan had the better team and would have won the Ohio State game if it hadn't been fixed. The Wolverines have had 50 consecutive years of Top 20 recruiting classes, including lots of Top 10 recruiting classes, but now they're 2-16 against OSU since 2001. Hahaha! Are we really supposed to believe those games were all on the level? Even Bo was 5-5 against Woody! Rutgers (1-11) "held" Ohio State to 52 points in Columbus. Did they have a better defense than Michigan this year? And the following teams held OSU to less than half what they scored in their 62-39 "victory" over Michigan: Purdue 20, Penn State 27, Michigan State 26, Minnesota 30. Do all those teams have defenses that are twice as good as Michigan's? Hahahaha!! Michigan had the top defense in the league this year and one of the best in the country. Even the oddsmakers made Michigan a 5-point favorite on the road. Michigan would have left the field littered with crushed Buckeye nuts if they'd been allowed to give 100 percent in that game. Speaking of fixed games from 2018, the Freemasons hit the Daily Double on Saturday, Dec. 29, when Michigan and Notre Dame were both required to take a dive in the biggest games of the year. Michigan, a 6-point favorite, got blown out by Florida, 41-15, and Notre Dame "lost" to Clemson, 30-3. See the 33 in that score, 30-3? That's because the 33rd degree is the highest level of corruption available in Freemasonry. They often put their signature 33 on the games they fix. How anyone could seriously claim that it looked like Michigan and Notre Dame were trying to win those games is beyond me. A first-grader could tell those games were fixed. And the Michigan basketball team threw the Wisconsin game on Jan. 19, 2019, after starting the season 17-0. They rarely commit turnovers when they're actually trying to win, sometimes only 2 or 3 in a game. They had 16 in the Wisconsin game. What a hoax! Plus they shot 28 percent from the 3-point line, about half their normal percentage when they're actually trying to make the shots. Watch the slow-motion replay as D.J. Wilson, No. 5 for Michigan, backs off and allows Oregon to score without even contesting the shot. And this was the game-winning basket in the regional semifinals, with a trip to the Elite 8 on the line! Wilson is a great shot-blocker and could have easily blocked that shot if he'd been allowed to, but the fix was in, so he had to do as he was told. Blocking that shot would have meant the end of his career, because game-fixing is serious business. Speaking of Michigan, their "loss" to Michigan State on Oct. 17, 2015, when the punter fumbled the ball away on purpose and let MSU score the winning touchdown on the last play of the game, was probably the most obvious fix of the 2015 college football season, and that's saying a lot, because the competition was so fierce. The Masons also stuck it to Michigan when they fixed the Orange Bowl game on Dec. 30, 2016. One of the most obvious ways in which the Masons left their fingerprints on that crime scene was the final score -- Florida State 33, Michigan 32. That's because the 33rd degree is the highest degree of corruption available in Freemasonry. Occult numerology is extremely important to the Masons, so they like to use the number 33 and various other occult numbers to signal those in the know when they've fixed a game. Michigan never should have been playing in the Orange Bowl in the first place. They started out 9-0 and would have gone undefeated and played for the national championship if they hadn't been required to throw the Iowa game and the Ohio State game. The Masons also fixed the Michigan State game on Oct. 8, 2017, when seventh-ranked Michigan coughed up the ball five times en route to a 14-10 loss at home, despite being heavily favored to defeat one of their biggest rivals. Third-ranked Oklahoma was also forced to throw a game that day when they lost at home to Iowa State. Every now and then I post a comment on a newspaper web site or a fan forum, and when I do, sports fans flock here to get the information they can't get anywhere else, because the mainstream media are all in bed with the corrupt Masonic system that rules college sports, professional sports and the rest of the world. By the way, as of January 2017, Facebook has paid me the ultimate compliment by banning me from commenting on various team sites, including the Michigan and Michigan State football and basketball pages and the Chicago Bears fan page. If there's nothing to my allegations, why was it necessary to resort to censorship to prevent my fellow sports fans from reading what I've written about this subject? I'll tell you why -- they know it's the truth, and they don't want sports fans to know the truth. The success of college and professional sports depends on the success of the cover-up -- they know that if the truth gets out, they're finished. The same thing happened to me when I joined an Indiana University fan site. After I signed up, I promptly pointed out that the Hoosiers threw an NCAA Tournament game against Syracuse in 2013, and posted a link to this blog, which I had just recently launched. I was then immediately banned from that forum. LOL! Unfortunately, the coach ends up getting blamed when his team gets caught up in the scandal. What no one seems to notice is that the players are making "mistakes" on purpose because the fix is in. Indiana fired Tom Crean after the Hoosiers got blown out by Georgia Tech in the opening round of the NIT in 2017, but it wasn't his fault that his team was required to throw so many games. If they'd been allowed to give 100 percent in every game, they probably would have ended up something like 29-4 instead of 18-15. Speaking of conspiracies, illegal activities far more serious than game-fixing flourish everywhere. Prosecutors charge people with the crime of conspiracy every single day. Are prosecutors "conspiracy theorists?" Stop living in La La Land and start living in the real world. Not everything that happens in the real world is random. Sometimes it's because two or more people were working together to bring about a desired result. That's the definition of a conspiracy. My motivation for launching this blog is the fact that I don't enjoy being deceived and I don't like seeing other people being deceived. Although it's a small matter compared to the more serious problems in the world, it's still something that ought to be stopped, and the gangsters in charge of fixing all these games should be prosecuted and put behind bars, where they belong. Doesn't it make you mad when your favorite team is required to lose or keep the game close because the game is fixed? Not to mention all the heartache and misery inflicted on the players and coaches for being forced to collaborate in fraud, and to the clueless fans who suffer disappointment after disappointment without ever suspecting anything is amiss. Much of this blog focuses on Michigan because I graduated from U of M in 1978 and I've been a Michigan fan ever since high school. I follow Michigan more closely than the other teams, so naturally I know more about them. But what I'm saying here applies to every major college and professional team in the country, because they all have to take a dive every now and then. Michigan just has to do it more often, as I'll explain. For example, how about the 17th-ranked Michigan basketball team losing at home in December 2014 to the New Jersey Institute of Technology -- a team that got blown out by Albany and UMass-Lowell? If you believe that game was on the level, I've got some beachfront property in Arizona I'd like to sell you. It's right next door to Rich Rod's place. Not to mention the follow-up home game, a 45-42 "loss" to Eastern Michigan. Are we really supposed to believe that a team that knocked off Oregon and Syracuse and took Villanova down to the wire couldn't manage to defeat the New Jersey Institute of Technology or Eastern Michigan in consecutive home games? LOL! Are you Michigan fans really that naive? And losing by 30 points to Arizona and then getting clobbered at home by SMU? 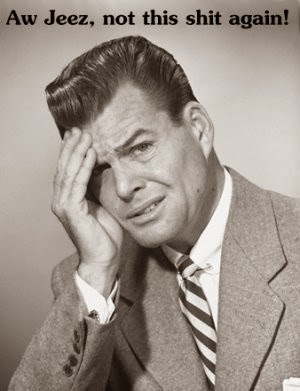 Are we really supposed to believe a well-coached team suddenly collapsed for no reason at all? That they suddenly stopped showing up for work, stopped making easy shots, stopped hustling for loose balls and rebounds, stopped boxing out on the boards? If these games had been on the level, Michigan would have started out the 2014-15 season at least 9-2, not 6-5. The real Michigan basketball team is the one that defeated Oregon and Syracuse, and nearly knocked off 12th-ranked Villanova in Brooklyn. The one that showed up during that four-game losing streak in December was an impostor -- a team that was ordered to take a dive or else. And so was the Michigan team that showed up in most of the Big Ten games. If they'd been allowed to give 100 percent in every game, they would have made it into the NCAA Tournament again. Some games are fixed by the Freemasons to punish me for breaking away from the multi-generational Masonic cult into which I was born, for refusing to worship the Devil like everybody elese, and for choosing good over evil and truth over lies. See this: http://brussellsprout.blogspot.com. Freemasons like to use the number 55 in the final scores when they've fixed a game, because I was born in 1955. They also like to use 6 and 30 a lot because I was born on 6-30-55, and 26 and 76 because I was married to a Masonic agent on 6-26-76 (666 -- The Mark of the Beast). The number 55 popped up on Nov. 25, 2014, when the Michigan basketball team was forced to take a dive in their 60-55 "loss" to Villanova, and also on Dec. 3 when North Carolina lost at home to Iowa, also 60-55, in the ACC-Big Ten Challenge. Those pesky numbers, 55 and 30, also popped up again on Dec. 9, 2014, when the Michigan women's basketball team, which had been undefeated at home, got blown out by 30 points, 85-55, by Princeton at the Crisler Center. That game was played just prior to the ridiculous spectacle of the men's basketball team "losing" to Eastern Michigan. And the numbers 55 and 30 figured prominently in Michigan State's ridiculous 71-64 overtime "loss" at home on Dec. 20 to a Texas Southern team that had a record of 1-8 coming into the game. MSU led at halftime, 30-25, and Texas Southern won the second half, also 30-25, to make the score 55-55 at the end of regulation. Also, the two teams combined to score 55 points in each half. Notre Dame is a frequent victim of the game-fixing scandal because I grew up in South Bend and was a classmate of Mike Parseghian's at Jefferson Elementary School in the fall of 1964. That was the year that Mike's father, Ara Parseghian, began his illustrious career as the head coach at Notre Dame. Also, I lived in South Bend during the 1990s while I was working for the South Bend Tribune, and my daughter graduated from Notre Dame. Even women's basketball games are fixed sometimes. The previously undefeated Notre Dame women's basketball team got blown out at home by Connecticut, 76-58, on Dec. 6, 2014, and then had to go into overtime to defeat DePaul, 94-93, in their next game. Two consecutive games that were obviously fixed. Notice the 76 and 93? I got married to a Masonic agent in 1976 and she divorced me in 1993 as part of the plan to destroy my life. Leaving their numeric fingerprints on the final score is the Freemasons' way of letting me know the game was fixed for my benefit (or detriment). Ruining my favorite pastimes is just one small part of the Freemasons' sadistic campaign to destroy my life. They've been trying to drive me to suicide for the past 10 years, but I refuse to do it, and one of the main reasons why is that I don't want to give them the satisfaction. It's too complicated to explain in detail here, but there's lots more about all this on my other blog at http://brussellsprout.blogspot.com. Fans should be directing their anger at the Freemasons in charge of fixing the games, not at the helpless coaches and players, all of whom already have a gun pointed at their head. When the fix is in, coaches, players and referees are required to throw the game, to act like they're trying, even though they're not, and to keep the whole sordid affair a deep, dark secret. If they were to talk, their careers, their lives and even the lives of their loved ones would be in grave danger. Blackmail is widely used by psychopaths in our society to cover up their crimes -- most of which are a lot more serious than game-fixing. All this is covered up by the mainstream media. I worked for daily newspapers myself for about 25 years as a reporter and editor, and I started out as a sports writer, so I know a thing or two about daily newspapers and TV stations, and how corrupt they are. But now that I'm retired, I'm about as far from mainstream as it gets, so buckle up and get ready for a wild ride. I want to make it clear that in most cases, I don't believe players are throwing games for personal gain. They're doing it because they have no choice if they want to continue playing. It's required by the Masonic gangsters who rule college and professional sports, and everything else in this country, and they don't get anything out of it other than being allowed to stay on the team. Not only do you have to be a good athlete to play major college and professional sports, you also need to have some acting ability. Don't be one of those clueless fans who just chalk up a fixed game to an "off night." Watch the games carefully, and ask yourself if it really looks like they're giving it the old college try. Chances are, at least one team isn't, and sometimes neither team is -- at least not on every play. ESPN Classic, ESPNU, the Big Ten Network, the Fox sports channels, the CBS College Sports network and others all show reruns. If a game seemed suspicious to you, watch the replay and look for the telltale signs. Eventually, you'll be able to tell when a game is fixed. Record the games as often as possible and analyze them from the standpoint of an investigator whose job is to look for evidence that a game is fixed. I think you'll be amazed at what you find. The corruption in college sports also extends to the announcers and the news media for failing to point out the obvious truth. I've noticed many times that when a call is blown or a player makes a truly outrageous and willful mistake, the announcers fail to point it out and the network doesn't show the replay. They just gloss over it. Now, don't get me wrong, I went to Michigan and I like to see the boys do well. But all this losing isn't what irks me. What disgusts me is their not being allowed to win because they're forbidden to play up to their potential. Sometimes they're allowed to win, but they're required to make lots of "mistakes" and keep the game close, like the Akron game at Michigan Stadium on Sept. 14, 2013, which the Michigan football team barely won, 28-24, despite being a 37-point favorite. I don't mind losing fair and square. If the other team plays better and deserves to win, I'm the first to congratulate them. That's not what I'm talking about. What I'm talking about is when a team loses a game on purpose. I'd like to see both teams give 100 percent in every game, the way they used to before this game-fixing conspiracy reached epidemic proportions. The way things are set up now, playing Division I college sports is like belonging to a secret society such as Skull and Bones or the Freemasons. You're sworn to secrecy. The players and coaches are powerless to do anything about the situation, because if they talk, it will mean the end of their careers, and their lives might be in danger. It's like the proverbial elephant in the room that no one is allowed to talk about. Imagine what it must be like to throw a game, to be subjected to ridicule and derision, and to be sworn to secrecy, unable to defend yourself or tell the truth about what happened. But that's exactly the price that players and coaches are expected to pay when they're initiated into the secret society of major college and professional sports. It's no accident that college and professional sports have both developed into multi-billion-dollar businesses in recent years. The ruling elite announced their plans hundreds of years ago to pacify the "sheeple" with sports and other trivial pastimes to keep them from noticing that they were being systematically fleeced by a conspiracy of the richest and most powerful people on the planet -- the famlies that own the central banks, aka the Illuminati. One of the biggest conspiracies of all is the conspiracy to convince you that there's no such thing as a conspiracy! That's why the mainstream media often try to cover up the truth about a conspiracy by using the term "conspiracy theory," as though actual conspiracies don't exist. And there's lots more about conspiracies that are threatening your life and the lives of your loved ones right now on my other blog, including the cover-up surrounding the fact that one or more colossal celestial bodies are headed toward Earth right now and are likely to cause an extinction level event sometime within the next year or two -- possibly even this year. I know it's scary to think about, so I'm going to end this post on a more cheerful note. Please keep in mind, even if you don't survive the impending cataclysms, it's not that big of a deal. 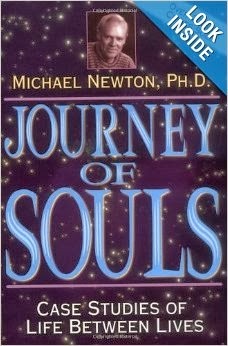 We're all spiritual beings who live forever, and we reincarnate on Earth many, many times to learn spiritual lessons. It's easy to fix a baseball game. Pitchers walk batters on purpose and give them easy pitches to hit. Batters are told what kind of pitch to expect and where to expect it, and pitchers take a little something off their fastballs. Batters strike out on purpose and chase bad pitches to help the pitcher out. Infielders and outfielders deliberately boot routine ground balls and fly balls to allow runs to score, and they make wild throwing errors on purpose. Chicago shortstop Alex Gonzalez intentionally booted a routine double-play ball that would have gotten the Cubs out of a jam in Game 6 of the National League Championship Series in 2003. Speaking of the Cubs, they were required to throw the National League Championship Series for the fifth time in franchise history when they "collapsed" against the Los Angeles Dodgers in 2017, losing 4 games to 1 and getting blown out at home, 11-1, in the final game. That series was crooked as a dog's hind leg, especially the final game. important games of the year? And that one of the best pitching staffs in the league could really give up 11 runs at home in the most important game of the year? Correction. The Cubs scored a whopping 3 runs in Game 4, which they won, 3-2. And they scored 1 run in three games and 2 runs in the other losing "effort." What happened? Did all those great hitters suddenly forget how to hit a baseball during the most important games of the year? And did all those great pitchers suddenly forget how to get anyone out? Haha! You'd have to be pretty naive to believe that! The Cubs were also required to throw the NL Central championship game against Milwaukee and the NL Wild Card game against Colorado in 2018. They scored one run in each of the two biggest games of the season, losing at home with everything on the line, despite having way more talent than their opponents. I'm not buying it! The fact is, they deliberately under-performed in those two games because they were required to lose. and they're right. Most people still don't have a clue. professional wrestling -- no integrity to be found anywhere! The Cubs took a similar dive against the New York Mets in 2015. Chicago had no trouble with New York during the regular season, going 7-0. Are we really supposed to believe the Cubs couldn't win a single game against the Mets in the playoffs, getting swept in four games? LOL! You'd have to be pretty naive to believe that series was on the level. All this after having defeated the National League favorite, St. Louis, 3 games to 1, in the NLDS. It's not that the Cubs wanted to lose or had anything to gain by it, it's because they were required to lose by the Freemasons who control Major League Baseball and practically everything else in this world. Failing to cooperate would mean the end of their careers, and their lives and the lives of their loved ones would be in danger. Although they were finally allowed to win the World Series in 2016, the fact remains that in addition to the 2015 disaster, the Cubs also threw the NLCS in 1984, 1989 and 2003. I guess the Freemasons must have thought they better let them win in 2016 to take some of the attention away from all the playoff series they'd been required to throw through the years. That old story about the billy goat was wearing a bit thin. It happens every year. In the baseball playoffs in 2014, the Pittsburgh Pirates were forced to throw the National League Wild Card game against San Francisco, and the Detroit Tigers were required to throw the American League Divisonal Series against Baltimore. And the Dodgers threw Game 1 of their series against the Cardinals by giving up eight runs in the seventh inning in a losing "effort." Speaking of the Tigers and the Cardinals, St. Louis centerfielder Curt Flood deliberately misplayed Jim Northrup's routine fly ball into a two-run triple in Game 7 to give the Tigers a "miraculous" victory over the Cardinals in the 1968 World Series. I figured it out the other day when I happened to see some highlights of the series on the MLB Network. Detroit was still reeling from the riots that burned half the city to the ground in 1967, so the Cardinals may have been required to throw the Series to Detroit to give that city something to cheer about. That's one possible explanation. The idea is to make it a better human-interest story for Major League Baseball and show important it is to a city. The annual fix fest known as the NCAA Tournament got under way in March 2015 when 12-point favorite Notre Dame, the reigning ACC Tournament champion, struggled to defeat mighty Northeastern, 69-65. LSU threw the North Carolina State game when they deliberately missed their last 12 shots from the field and their last 6 free throws -- 18 shots in a row! They led 65-59 with 3:59 left in the game and ended up losing 66-65. LOL! Are we really supposed to believe that game was on the level? Other games that were fixed included UCLA's 60-59 "victory" over SMU, helped along by a crooked golatending call on the game-winning basket; North Carolina's narrow escape against Harvard; and Purdue's 66-65 overtime "loss" to Cincinnati. Somebody apparently wanted UCLA to make the Sweet Sixteen, because 14th-seeded UAB "upset" third-seeded Iowa State in another crooked game. That meant UCLA got to play the 14th seed instead of the third seed in its next game, and UCLA defeated UAB easily to advance. In the Purdue-Cincinnati game, Boilermakers Coach Matt Painter called timeout with just seconds left in regulation to give Cincinnati a chance to set up a play for the game-tying basket. Purdue fans were all up in arms after the game, calling for Painter to be fired for stupidity, but it wasn't stupidity, he was just doing what he was told because the fix was in. Refusing to cooperate would have meant the end of his career, and his life and the lives of his loved ones would have been in danger. Game-fixing is serious business. The ACC Championship Game was also fixed, when Notre Dame went on a 26-5 run in the second half to rally from a huge deficit and defeat North Carolina, 90-82. The referees helped out by sending the Irish to the foul line 32 times compared to 7 for North Carolina. This was the same Notre Dame team that struggled to defeat Northeastern in the NCAA Tournament opener and then benefited from the game-fixing scandal in their next game against Butler. Notre Dame was on the other end of the game-fixing scandal when they were forced to throw the Kentucky game after building a 59-53 lead with about six minutes left. The Irish deliberately failed to score in the final two minutes. A crooked officiating call in the final seconds sent Kentucky to the free-throw line for the game-winning free throws. The score at the time was 66-66, and the crooked call was delivered with 6 seconds left to play. See the 666? That was no accident -- 666 is the Mark of the Beast, and the Freemasons use it all the time to leave their fingerprints on the crime scene. Notre Dame deliberately failed to execute a play for a game-tying basket at the end, instead settling for a wild and unnecessary three-point attempt. Deliberate coaching mistakes are another telltale sign when a game is fixed. The Michigan State-Virginia game should have been a classic, but instead it turned into an extremely ragged affair because the fix was in. Virginia shot 2 for 17 from three-point range for 11.8 percent in the biggest game of the year. As a matter of fact, anytime the best teams in college basketball shoot under 40 percent from the field in an NCAA Tournament game, it's time to get suspicious. Villanova shot 31 percent when they threw the North Carolina State game on March 21. When your favorite team can't buy a basket and the players act like they don't care, the fix is in. When they start throwing the ball away and failing to hustle after loose balls and rebounds, the fix is in. You can bet the fix is in when your favorite team purposely leaves the opposing team's best shooter wide open for easy shots, and they miss a ton of easy shots and free throws. They're not just having an "off night," they're missing those shots on purpose. Butler went 10-19 from the foul line in their "loss" to Xavier in the Big East Tournament on March 13, 2015, and Kentucky missed a ton of foul shots on purpose when they threw the NCAA Championship Game to Connecticut in 2014. In football, quarterbacks throw interceptions and get sacked on purpose, and they fumble the snap or fumble when they get hit. Running backs and receivers fumble the ball away intentionally and drop easy passes, and linemen intentionally blow their blocking assignments. The perps then usually put on a public display of phony emotion, designed to show how embarrassed and disappointed they are. That's to cover up the fact that they did it on purpose. On defense, cornerbacks deliberately give receivers a nice cushion and let them catch the ball, then let them slip away from their tackles on purpose. And defenders repeatedly miss easy tackles. Manti T'eo missed a ton of tackles when Notre Dame Threw One for the Gipper against Alabama in the 2013 national championship game. Also, place kickers miss field goals on purpose. Brendan Gibbons, usually an excellent kicker for Michigan, missed an easy game-winning field goal against Penn State in 2013, and also had another game-winner blocked, although that may have been the fault of the offensive line for letting the defenders rush in on purpose. And, of course, officials make crooked calls in every sport to ensure the "correct" team wins the game. The "pass interference" call that cost Notre Dame a victory over Florida State on Oct. 18, 2014, is a prime example. The Green Bay Packers were forced to throw the NFC Championship Game against Seattle on Jan. 18, 2015, after jumping out to a 16-0 lead, and the Indianapolis Colts took a dive against New England in the AFC Championship Game. And during the 2014 Michigan football "season," the Wolverines were forced to throw all seven of their losses, and to shave points in four of their five victories. There were lots of suspicious plays in the Michigan-Ohio State game in 2014, including Devin Gardner fumbling the ball away on purpose, leading to a 33-yard touchdown for the Buckeyes. That was a telltale sign that the fix was in, because 33 is the highest degree of corruption available in Freemasonry, and they often use the number 33 to leave their fingerprints on the crime scene when a game is fixed. Notre Dame was also forced to take a dive against Southern Cal that same day, getting blown out 49-14 to complete a season-ending tailspin of epic proportions. Are we really supposed to believe that a team that was undefeated until midseason and would have knocked off No. 2 Florida State in Tallahassee if it hadn't been for a crooked pass-interference call that nullified the game-winning touchdown, suddenly can't win a game against anybody in the second half of the season, including Northwestern? There's no way in the world that the Michigan football team, which has had four straight Top 20 recruiting classes, including two Top 10 recruiting classes, could possibly lose to teams like Utah, Minnesota, Maryland and Rutgers if the games were on the level. It's possible they could have lost to Notre Dame, Michigan State and Ohio State if the games hadn't been fixed, but they wouldn't have lost 31-0, 35-11 and 42-28, I can guarantee that. They would have been close, hard-fought struggles, like most of the Notre Dame-Michigan games, Michigan-MSU games and Michigan-Ohio State games have been through the years. Michigan is not the only team in college football or basketball that's required to throw games. Back in September, Ohio State was forced to throw the Virginia Tech game and Michigan State was required to throw the Oregon game. Every team is affected by the scandal at some point. Sometimes they benefit from it, and sometimes they're on the losing end. I'd like to see the integrity of the games restored for everyone's benefit, not just Michigan's. In 2014, the Michigan football team had more talent than anybody in the Big Ten with the possible exception of Ohio State. Plus, the coaching staff was very capable, as they've proven in their previous jobs. So the problem isn't lack of talent or poor coaching, it's corruption -- the game-fixing scandal that ruined college and professional sports. Can all you Michigan fans out there honestly tell me you find nothing suspicious about the Wolverines' sudden collapse after decades of fielding championship-caliber teams? That it looks to you like the Wolverines are giving 100 percent on every play? Because to me, it doesn't even look like they're giving it the old college try. It looks to me like they're making "mistakes" on purpose because they've been ordered to throw the game. Rich Rodriguez was extremely successful at West Virginia before he landed at Michigan, and Brady Hoke was a winner at Ball State and also at San Diego State before he was hired at Michigan. And all the assistant coaches have excellent track records as well, so you have to look beyond the coaching staff and the starting quarterback to find the answers. If the games had been on the level, there's no reason in the world why Rodriguez and Hoke shouldn't have both been wildly successful at Michigan. They both were both excellent at recruiting talented players for the Wolverines. Unfortunately, there's something about being at Michigan that changes everything, and it has nothing to do with the quality of the athletes or coaches. Games are fixed for all sorts of reasons, including the personal vendetta the Freemasons have against me. They force Michigan, the Chicago Bears and other teams I like to throw games in order to punish me for breaking away from the Masonic cult into which I was born, for choosing good over evil, and for refusing to sacrifice innocent, defenseless children to Satan. I realize that might be difficult to believe, but most people don't know anything about Freemasonry and the way things are done in a multi-generational Masonic cult such as the one into which I was born. It's like being born into a parallel universe. Your life is like an episode of "The Twilight Zone." Unless you tune in to "The Twilight Zone," you'll never understand why your favorite team suddenly starts playing like they don't have a clue and that they couldn't care less whether they win or lose. The situation is so bizarre that I thought about leaving this explanation out entirely, but I decided to include it because of all the numerical evidence the Freemasons leave behind when they fix a game. Having knowledge of the Masonic connection to all this will allow people to look for the numerical clues that are sometimes left all over the crime scene. Even in the games they won in 2014 against Penn State and Northwestern, the Michigan football team was required to make lots of "mistakes" and keep the games close. Notre Dame wasn't even allowed to do that when they Threw One for the Gipper against Arizona State. They even let the Sun Devils rack up the telltale occult number 55. And neither were the Chicago Bears when they "lost" to the Green Bay Packers, 55-14, on Nov. 10, 2014 -- the day after Notre Dame gave up 55 points to Arizona State. The Freemasons like to use the number 55 in the final score when they've fixed a game because I was born in 1955. Fixing college and professional sports is child's play for these psychopaths. They start all the wars on the planet and arm both sides, and they own the central banks and make trillions of dollars by loaning money to governments to carry out the wars that they start. High-ranking Freemasons all worship Satan, and when one of their own -- such as me -- breaks away from the cult and chooses good over evil, they take it personally, and they love to devise all kinds of cruel strategies to get revenge. In my case, they know that I graduated from U of M in 1978 and that I've been a Michigan fan and a Chicago Bears fan my whole life, so they know it causes me a great deal of heartache to see my favorite teams take a dive every year. It's not all the losing that bothers me so much, it's the fact that the games are fixed, and that they're required to blow the games on purpose and they're not allowed to give 100 percent on every play. We rarely get a chance to see Michigan or the Chicago Bears play the way they're capable of playing. The Michigan season opener against Appalachian State was the only game that wasn't fixed in 2014. I had to laugh the other day when I saw a headline on a newspaper web site that said something like, "Michigan State's talent may be too much for Michigan." LOL! Michigan State has not had a single Top 25 recruiting class in the past four years, so where are they getting all this talent? According to ESPN, they've been ranked 29th twice and 35th in 2013. So, have a bunch of five-star recruits walked on at Michigan State? Are the Michigan State coaches so brilliant that they're able to transform all that medocrity into excellence? Michigan has way more talent than MSU, and if they weren't coerced into throwing the MSU game every year, they could prove it. But talent doesn't mean anything when the fix is in. I would even go so far as to say that the Masonic gangsters in charge of fixing all these games and running this country into the ground want you to know that the games have been fixed so you'll feel even more helpless than you already do. That's why Michigan has been blown out by lesser teams in four of their losses -- to make it obvious. And that's why the Chicago Bears got blown out 38-7 in the first half of their game against New England on Oct. 26, 2014, and 42-0 in the first half of their 55-14 "loss" to Green Bay. That's also why Notre Dame got clobbered 34-10 in the first half of their "loss" to Arizona State on Nov. 8. Michigan fans and Bears fans were all up in arms in 2014, wanting the coaches to be fired and the quarterbacks benched, but that won't solve the problem, because it's not incompetence that's causing their favorite team to lose, it's corruption. Michigan ended up firing Brady Hoke and hiring Jim Harbaugh to replace him, but unless the Masonic spell is lifted, it won't make much difference, because Michigan will still be required to throw games once in a while. The Iowa and Ohio State games in 2016 are two examples. It's one thing to lose a close game to the underdog, or to a slight favorite, but's quite another thing to get blown off the field by a lesser team -- especially at home. Yet that's exactly what happened to the Michigan football and basketball teams many times in recent years. If those games had been on the level, even if they resulted in losses, they would have been close, hard-fought struggles, not complete farces. There were two other obvious examples of game-fixing in the Big Ten on Sept. 27, 2014, including Indiana getting blown out at home, 37-15, by lowly Maryland, and Penn State getting clobbered at home by Northwestern, 29-6. Earlier in the season, Indiana was required to throw the Bowling Green game, Purdue was required to take a dive against Central Michigan and North Carolina was coerced into throwing the East Carolina game. When the fix is in, sometimes your team is allowed to win, but they're required to make lots of "mistakes" and keep the game close, like the Akron game at Michigan Stadium on Sept. 14, 2013, which Michigan barely won, 28-24, despite being a 37-point favorite. LOL! Are we really supposed to believe that game was on the level? The Miami Hurricanes threw that Hail Mary game against Boston College in 1984 to enhance the Doug Flutie legend and ensure that college football would have a nice-looking, clean-cut, All-American boy as the Heisman Trophy winner that year. I'm not saying Flutie wasn't a great quarterback. In fact, he's one of my all-time favorite players because he had so much heart and football savvy. It was especially inspiring to see him out there playing against all those big guys and outsmarting everybody because he was only 5 feet 10. The classic underdog. There was another obvious Hail Mary Hoax in the Cincinnati-Baltimore game on Nov. 10, 2013. Ravens safety James Ihedigbo, a veteran player in his sixth NFL season, tipped a deflected pass high in the air so it could be caught by the Bengals' A.J. Green for the tying touchdown. Also, why is it that defensive teams always rush the passer with only three linemen when it's obvious a Hail Mary is about to be attempted? If I were a defensive coordinator, I'd blitz the quarterback so the receivers wouldn't have time to reach the end zone, let alone make a "miraculous" game-winning catch. That wouldn't make for a very exciting finish though, would it? Isn't it obvious that Georgia wanted to give Auburn a chance to complete the Hail Mary? All the Georgia secondary had to do was let the pass fall harmlessly to the ground and they would have won the game. Instead, they deliberately tipped it to the Auburn receiver and let him waltz into the end zone for the winning score. LOL! Are sports fans really that naive? A second-grader could see it was all a hoax! Speaking of hoaxes, there were two glaring examples of fixed games in the early years of the Super Bowl to give the old AFL teams more credibility after they merged with the NFL. The Baltimore Colts threw the Super Bowl to Joe Namath and the New York Jets in 1969, and the Minnesota Vikings threw the 1970 Super Bowl to the Kansas City Chiefs. No wonder Namath boldly predicted the Jets would win in 1969, even though they were 18-point underdogs. He probably knew the fix was in. Another thing that happens is that key players fake injuries to hurt their team's chances and give the team an excuse for losing the game. And coaches cooperate by failing to make obvious strategy adjustments and taking a laissez-faire attitude when their team starts to go into meltdown mode. For example, in their "loss" to Ohio State in 2012, Michigan kept trying to run the ball up the middle in the second half with little success, despite having great success in the first half by throwing the ball and running wide. After scoring 21 points in the first half, they were shut out in the second half because of play-calling that appeared to be stupid, but was actually deliberate. It was designed to fail. Michigan was forced to throw all its losses in 2013, including the 17-13 "loss" to Nebraska. 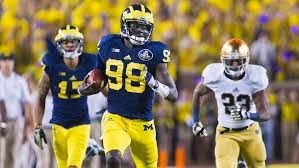 Devin Gardner, easily one of the quickest, fastest and most agile quarterbacks in the country, inexplicably forgot how to elude the pass rush in this game. When he's not actually trying to get sacked, he's adept at dodging tacklers. Just ask Notre Dame and some of the other teams he's exploited during his career at Michigan. Devin Gardner runs for a big gain against Notre Dame. And then there was the badly overthrown, deliberate interception that sealed the Ohio State loss in 2012: http://www.youtube.com/watch?v=U06UyVx8WIk Not to mention the interception he deliberately threw to the Ohio State secondary on the 2-point conversion play that would have won the game in 2013 if it had been successful. Against Nebraska and Michigan State. it didn't help that the offensive line suddenly forgot how to protect the quarterback. Are we really supposed to believe Nebraska's defense and Michigan State's defense are both just too strong and fast for a Michigan offense that scored 63 points on Indiana, 59 on Central Michigan and 40 or more points against Notre Dame, Penn State and Minnesota? That all they could muster against their archrival, Michigan State, was two lousy field goals in the biggest game of the season? That they could be shut out for the entire second half? I'm not buying the cover story for one instant, and you shouldn't either. And how about Notre Dame being ordered to stand down at home against perennial patsy Navy last season, struggling to win 38-34, one week after blowing out Air Force 45-10 at Colorado Springs? And then losing to Pittsburgh, 28-21 -- a team that gave up 55 points against Duke earlier this season. Michigan also shaved points against Akron on Sept. 14, 2013, when they struggled to win at home, 28-24, despite being a 37-point favorite. Reminds me of that time they "lost" to Appalachian State a few years back. Another obvious hoax. Do you really think Appalachian State and Akron would have had a chance in those games if Michigan hadn't been required to throw the game or keep it close? Some of the other obvious hoaxes last season include losses by three teams that were in danger of qualifying for the BCS Championship Game. Clemson got blown out at home by Florida State, Stanford lost to Utah, 27-21, and then Oregon lost to Stanford, 26-20. The NCAA doesn't like having too many undefeated teams because it creates controversy over the corrupt BCS system. I'm going to go out on a limb today (Nov. 17, 2013) and predict that either Alabama, Florida State or Ohio State will lose before the BCS Championship Game matchup is finalized. The reason why I say that is, unless one of them loses, we'll have three undefeated teams, and one will be left out of the championship game, creating more controversy for the already beleaguered and corrupt system. Make that five teams that are undefeated, including Baylor and Northern Illinois. Baylor will probably lose, too, because I doubt that the NCAA wants to see Baylor in the championship game. We'll see. Northern Illinois might be allowed to go undefeated, since they're in the Mid-American Conference and won't create too much controversy when they get shut out of the BCS title game. (Editor's note: Sure enough, the prediction I made on Nov. 17 came true, because Baylor got trounced by Oklahoma State in a highly suspicious game on Nov. 23, and Alabama lost to Auburn in another crooked game on Nov. 30 when they allowed a 100-yard touchdown on the last play of the game. That left Florida State and Ohio State as the only two undefeated teams left from the so-called power conferences going into Dec. 7, but then the Buckeyes lost to Michigan State, so that left FSU as the only undefeated team. Northern Illinois got hammered by Bowling Green in another fixed game to knock them from the ranks of the undefeated. I remember when big plays hardly ever happened. Titanic defensive struggles were the order of the day. Now, almost every game features a touchdown of 50 yards or more as defensive players suddenly find they're unable to make an open-field tackle. I guess the NFL and the NCAA think the games are more exciting with all these big plays happening. But I don't. There was time when a 75-yard touchdown run meant something. Now it's just another example of corruption. It's really too bad Michigan had to throw the Big Ten Championship Game, it should have been a great game. Unfortunately, the fix was in, so the Wolverines deliberately turned in another horrible effort. If Michigan had been allowed to give 100 percent in this game, Michigan State still might have won, because they have a fine team, but they wouldn't have won 69-55, I can guarantee that. It would have been a close, hard-fought struggle like the first two meetings between these two teams. There are several things to look for when a game is fixed, and this one had most of them in spades. Leaving the opponent wide open for easy baskets is one of the telltale signs, along with failure to hustle after rebounds and loose balls, deliberate turnovers and uncharacteristically poor shot selection. Another thing to watch for is when players suddenly find they're unable to make a layup, and when the team shooting percentage is drastically lower than usual. Michigan is one of the leaders in the nation in shooting percentage, consistently making 40 to 60 percent from the field. Coming into this game, they were ranked 21st in the nation with an average of 48.1 percent despite deliberately missing more than their share of baskets in games they were required to throw. Michigan State was 31st at 47.4. In their first two meetings this season, despite losing both games, MSU outshot Michigan from the field 46-45 percent, and 54-50 percent. Both teams were close to their season averages, but not in this game. While MSU was right around its usual percentage at 50.9 percent, Michigan shot an abysmal 30.9 percent. From 3 -point range, Michigan was even worse at 28.6 percent, and MSU was way below average at 11.8 percent. Imagine what the score would have been if Michigan State had made its usual 40 percent. That would have meant they made seven 3-pointers instead of two, so the final score would have been 84-55. Perhaps that would have raised too many eyebrows, though. So Michigan State deliberately missed a bunch of 3-pointers to keep the game closer. Funny how Michigan shot so poorly from the field, considering they were 15 of 16 from the free-throw line for 93.8 percent. Another indication this game was not on the level. Despite outrebounding MSU 31-28 in their first game this season, Michigan was obliterated on the boards in this game, 38-22. That indicates deliberate failure to hustle after rebounds. Also, Michigan committed only 2 turnovers in the second game and made 9 in this game -- another highly suspicious statistic. This is for all the Michigan fans out there who struggle to understand why the Wolverines' proud football tradition has been on such a severe downward spiral in recent years. And what I'm saying here about my alma mater, Michigan, also goes for some of my other favorite teams, including Notre Dame, Michigan State, Indiana, Purdue, Butler, North Carolina, the Chicago Bears, Chicago Cubs, Chicago Bulls, Indianapolis Colts and Indiana Pacers. Masons have infiltrated all our institutions, and they've been plotting to destroy the United States and merge it into a global fascist dictatorship known as the New World Order for hundreds of years. They were responsible for establishing the U.S. government from the start. 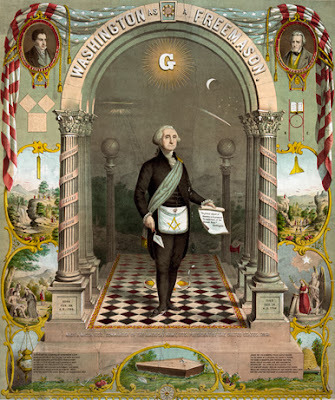 George Washington, Benjamin Franklin, Alexander Hamilton, James Madison and virtually all the Founding Fathers were Masons. "Freemasonry is the Church of Lucifer masquerading as a fraternal mystical philanthropic order. It fronts for Illuminati central bankers who started the United States as a vehicle to advance their New World Order." "Benjamin Franklin, who was the Grand Master of a French lodge, raised millions of francs crucial to financing George Washington's army. He was the first to submit a concrete plan for military collaboration and political federation to a Congress representing all colonies. He established a chain of Masonic newspapers in all of the colonies." The number 33 is an important number to Freemasons because the 33rd degree is the highest degree of corruption available in the Masonic power structure. That's why Michigan lost to Florida State, 33-32, in the crooked Orange Bowl game on Dec. 30, 2016. The number 63 is significant to Masons because they assassinated President Kennedy in 1963. And on the weekend of the 50th anniversary of Kennedy's public execution, they used the number in the final score when the Michigan basketball team "lost" to North Carolina-Charlotte, 63-61, on Nov. 24, 2013. And 61 was the year President Kennedy was inaugurated, so both numbers in the final score were a reference to President Kennedy. If that game wasn't fixed, how else can you explain a team with three NBA prospects in the starting lineup losing to a bunch of players recruited from the local YMCA on national television? Are you really so naïve that you believe it was all on the level and that college basketball games are never fixed? LOL! In football, Devin Gardner deliberately threw the interception into heavy traffic that would have won the Ohio State game on Nov. 30, 2013. He could have scrambled around and found something better if the fix hadn't been in. And Michigan could have trounced Kansas State in the bowl game if they hadn't been required to take a dive. Gardner was also instrumental in throwing the Notre Dame game on Sept. 6, 2014, when he tossed three deliberate interceptions. That "loss" was the first time Michigan had been shut out since 1984 -- a record-breaking streak of 365 games. 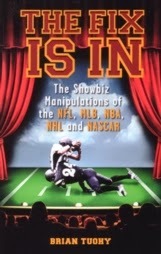 In some cases, games are fixed as a matter of organizational policy -- the NFL, NCAA, NBA, MLB or NHL. For example, the Patriots won the Super Bowl after the 2001 season as a "patriotic" gesture following 9-11, and the Red Sox won the World Series in 2013 because of the Boston Marathon bombing. The NCAA does the same thing by manipulating late-season games to get the matchup they want in the BCS Championship Game. In 2011, Boise State, Oregon, Stanford and Oklahoma State were all required to take a dive in November when they were in danger of qualifying for the BCS Championship Game. That was the year Alabama lost to LSU during the regular season and avenged that loss in the championship game. Notre Dame benefited from the same sort of scenario in 2012 to qualify for the BCS Championship Game and give the NCAA the matchup they wanted against Alabama, but then the Fighting Irish were forced to throw the national championship game. Schools with small followings such as Boise State and Oklahoma State don't stand a chance of making it to the finals. Sometimes truth really is stranger than fiction. But unless you accept the truth about game-fixing, you'll never be able to understand why Michigan football teams show so much promise one week and then look terrible the next. For example, in 2010, they started out 5-0 and then lost 6 of their last 8 games to finish 7-6. That was Rich Rodriguez's last year at the helm, but it wasn't Rich Rod's fault any more than it is Jim Harbaugh's fault, and it wasn't Brady Hoke's fault or Lloyd Carr's, either. I believe the main reason why Carr retired while he was still fairly young and in good health was that he was tired of having to throw so many games -- especially the ridiculous spectacle of the Appalachian State debacle to open the 2007 season at Michigan Stadium. Anyway, since Michigan is always in the Top 20 in recruiting classes, and frequently in the Top 10, they should have a Top 20 team every year unless their coaches are truly awful, and I don't believe they are. The Wolverines have now lost five of their last six games against Michigan State. Is MSU in the Top 20 for recruiting every year? I don't think so. Presumably then, Michigan usually has more talent than MSU. But talent doesn't count for much when the fix is in. We've seen proof of that during the last decade. Is Mark Dantonio really a better coach than Lloyd Carr, Rich Rodriguez and Brady Hoke, and is MSU's staff really that much better than Michigan's? I don't buy that, either. The truth is, Michigan loses to MSU, Ohio State and other schools on a regular basis because they're required to throw the game. It's not the fault of the players or the coaches, it's just something that's required by the Masonic power structure that rules college football and the rest of the world. The Michigan team that opened this season by trouncing Appalachian State 52-14 and the 2013 season by clobbering Central Michigan 59-9 is the real Michigan team -- the one that's allowed to give 100 percent on both sides of the ball. The only other time last season when that was the case was in the 42-13 victory over Minnesota. Every other game last season was tampered with to one extent or another, and all the games since the season opener this season have been as well. Not that Michigan State and Ohio State are allowed to make it through the season unscathed. They're occasionally required to throw games too, or at least to shave points. Ohio State's 26-23 "loss" to Purdue in 2011 is a case in point. And the Buckeyes were forced to take a dive against Wichita State in the NCAA Tournament in 2012. Ohio State defenders let Wichita State's best shooters get an uncontested look at the basket from three-point range at 5:05, 6:41 and 7:25. The last one was at a crucial point when the Buckeyes trailed just 62-59 with a couple minutes left in the game and still had a chance to win. Also note the deliberate charging foul inflicted by Ohio State at 6:19. Players getting "out of control" is a common tactic used to throw a game when the fix is in. Michigan State was required to shave points in its season opener in 2014, a 26-13 victory over Western Michigan, and also in their 14-0 victory over Purdue. And the Spartans were required to throw the second half against Duke in the 2013 NCAA Tournament. The year before, they took a big dive against Louisville. And they took a dive against Connecticut in the 2014 tournament. Game-fixing has been going on for most of my life, but I didn't really wake up to the fact that some of it was being directed toward me until a few years ago when I noticed that Michigan football and basketball were both in a tailspin. Michigan football used to have a tradition of having excellent defensive teams, even when their offenses were notoriously conservative. They lost five Rose Bowls under Bo Schembechler in the 1970s, including 10-3 to USC in 1970, 13-12 to Stanford in 1972, 14-6 to USC in 1977 and 17-10 to USC in 1979. They also lost to Washington, 27-20, in 1978. They were a big favorite against Washington that year, and that game was definitely fixed. The others probably were as well, especially that Stanford game. Michigan was 11-0 and ranked fourth in the country that year when they lost to Stanford. But even when they lost a game back then, they were never embarrassed. It was usually a close, hard-fought struggle that left the opponent just as battered as Michigan. Those Rose Bowl games were all like that. Now, it's not unusual for Michigan to get blown out by 20 points or more. They used to give up 10 points or less in almost every game in the 1970s. Now they sometimes give up more points in a single game than they used to give up for the entire season. A few years ago, they defeated Illinois, 67-65. And I'm talking about football, not basketball. I never watch a game live anymore because if I do, it always results in a Michigan loss. If Michigan wins, I usually just try to catch a few highlights on ESPN or the Michigan web site. Exposing the game-fixing conspiracy is my way of gaining some measure of revenge for all the heartache the Freemasons have caused me and all the other Michigan fans during the last decade. Not to mention the coaches and players. If we had an honest Congress, we could get an investigation of the game-fixing epidemic. But Masons control the Congress, the NCAA and every other institution in this country, so the truth would never be allowed to see the light of day. We'll just have to settle for knowing the truth ourselves. Maybe if enough people figure it out and stop going to the games, we can put an end to the game-fixing epidemic and restore the integrity of college sports. Until that happens, Michigan football will probably continue its relentless downward spiral, and Michigan basketball will continue to lose games in which they're big favorites. And to a certain extent, so will Notre Dame, Indiana, Purdue, Michigan State, Butler, North Carolina, the Chicago Bears, Chicago Cubs, Chicago Bulls, Indiana Pacers and Indianapolis Colts. For example, the Colts lost at home, 38-8, to the lowly St. Louis Rams on Nov. 10, 2013, and then the Hoosiers struggled to defeat LIU-Brooklyn, 72-71, at home on Nov. 12. Then on Black Sunday, Nov. 17, the Michigan basketball team, ranked seventh in the country with at least three NBA prospects in the starting lineup, lost to unranked Iowa State, 77-70. Meanwhile, Notre Dame, ranked 21st and an 11-point favorite, lost at home to unranked Indiana State; and North Carolina, ranked 12th and a 13-point favorite, lost at home to unranked Belmont. Two more of my favorites took a dive -- Notre Dame, because I grew up in South Bend, and North Carolina, because I live in the Tar Heel state now. See what I mean? And then, back to football, there was the Iowa debacle on Nov. 23, 2013, when Michigan blew a 21-7 halftime lead, got shut out again in the second half, and lost 24-21. I'm not buying that one, either. From what I could tell, it looked like Gardner coughed up the ball for no reason whatsoever to seal the deal. You'd have to be pretty naive not to realize he did that intentionally. The most glaring fix of all on Nov. 23, 2013, was when Arizona, with former Michigan coach Rich Rodriguez at the helm, annihilated fifth-ranked Oregon, 42-16. Another obvious insult to Michigan fans because now he's suddenly successful again after leaving Ann Arbor. Like I was saying, he's always been a good football coach, and he would have been successful at Michigan if he hadn't been required to throw so many games. But on Nov. 23, Rich Rod finally received his big reward for throwing all those games at Michigan. Are we really supposed to believe that Arizona's defense, which had already given up at least 20 points seven times that season against lesser offenses, was suddenly transformed into the immovable object against one of the most explosive offenses in college football? If you can buy that one, I have some beachfront property in Arizona I'd like to sell you. It's right next door to Rich Rod's place.